This was technically Dad's final ministry location....yet we know doing God's work was a daily part of his life right up to the end! The new coffeehouse ministry in Lisbon, Portugal. Portugal is one of the fields Dad and Mom opened for the Church of the Nazarene and where their granddaughter Krystal Loeber is currently a missionary. She started this ministry as a way of reaching the people of Portugal who would never enter a church building. The Earl and Gladys Mosteller "Called Unto Holiness" Grant at Northwest Nazarene University. This enables students a cross-cultural experience while attending NNU. We would also be most grateful if you would help us spread the above information so that his friends might know of his Homegoing and celebrate with us in spirit. 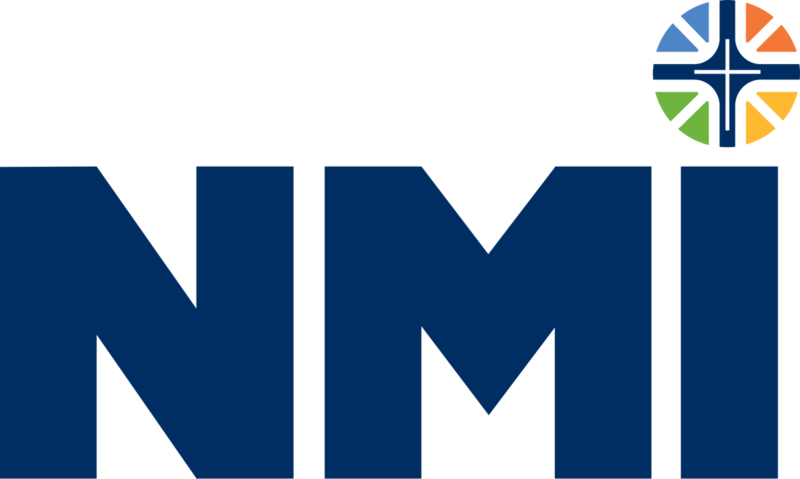 Both graduated from Northwest Nazarene University (then NNC). 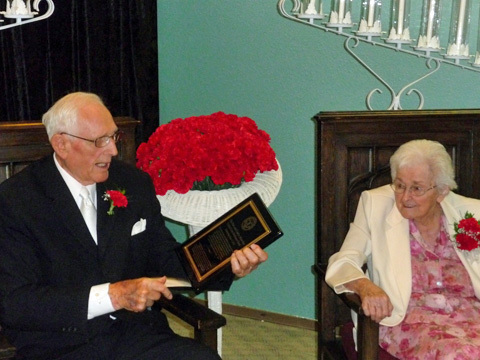 Earl was named alumnus of the year and later given an honorary doctor of law. Gladys named outstanding all-around student. Gladys had Dr. Franklin Cook’s parents for pastors and was very interested in missions. She was quite involved with missions in college. Earl wanted to date her but didn’t want to interfere with a call. Gladys said she didn’t really have a call, just a heart for missions. After marriage, and reading that the church needed missionaries (from the “Other Sheep” magazine) they decided to call Kansas City. They met J.B. Chapman and filled out paperwork in 1944. Appointed to Cape Verde Islands. They later opened the work in Brazil, Portugal, and the Azores. Zechariah 4:6 - "Not by might, nor by power, but by My Spirit saith the Lord of Hosts"
Gladys' activities are now pretty much limited to the nursing home activities. Her 'perfect day' would be to sleep in, have devotions, read the newspaper, work on a puzzle, and visit and encourage other shut-ins. Earl enjoys sending out letters concerning salvation. Both enjoy visitors. My father grew up in South Dakota. I think his missionary career started with a schoolteacher who, every single week of the year, would send a postcard to Dad and his family, inviting them to church. Dad's family was not interested in church at all. My grandfather finally said they should go so this lady wouldn't spend all of her money sending postcards to them. So everyone went to church, and Dad was introduced to the church and missions. I think the dogged sense of evangelism he carried through his whole life might have been affected by this teacher's persistence. I have a picture of my dad out in the sagebrush on his knees with his Bible. That's where he would go to pray. He didn't want to just be okay with God, but to be completely sold out to God. He didn't want anything-no matter what-to prevent God from becoming everything in his life. Dad didn't feel a call to missions at that point, but he wanted to be completely surrendered to whatever God had planned for him. He went to the altar and out in the sagebrush and prayed until he had nothing else left to give God. The most important thing for him was heart holiness. My father kept saying, "I do not want just part of what God has. I want everything." This sealed his commitment and he never turned back. Dad gained a confidence in God. When we live at that level of the Spirit, the decisions, plans, dreams, and big thoughts God gives us are all part of God's plan because we are already sold out to Him. That's the stage where Dad was "no doubts" it was full throttle ahead. That's how I saw Dad live. 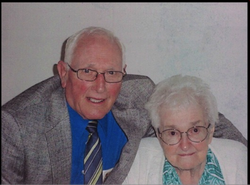 Earl and Gladys Mosteller celebrated their 70th wedding anniversary in June, 2011. 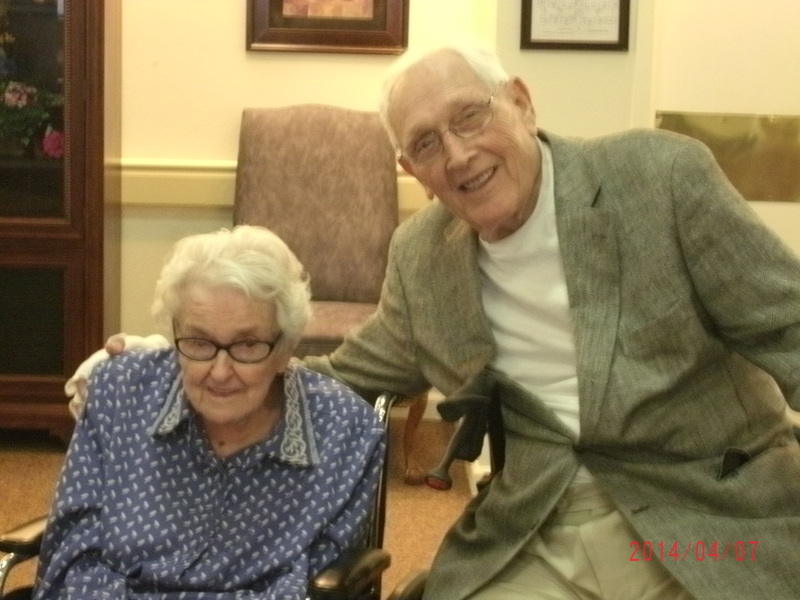 The couple married June 12, 1941, before going into missionary service for the Church of the Nazarene. Their daughters and sons-in-law - Kathy and Larry Loeber, Virginia and Jim York, and Liz and Steve Ott - organized a reception for them July 9 at the Seattle Aurora Church of the Nazarene in Shoreline, Washington. On the long eastern wall of the reception room were five flags representing the countries where the Mostellers spent their 70 years of marriage ministering for God: the United States, the Cape Verde Islands, Brazil, Portugal, and the Azores Islands. At the far end of the room, on the north wall, were two throne chairs backed by a sea of red carnations and an array of candles. There, the couple enjoyed three hours of personal congratulations and honors. Pastor Jose Delgado, who was baptized as a young teen by Earl Mosteller in the Cape Verde Islands and later pastored with the Mostellers in Portugal and evangelized with them in the Azores, surprised the couple with a four-day visit and attendance at the reception. Delgado now pastors in Rhode Island. 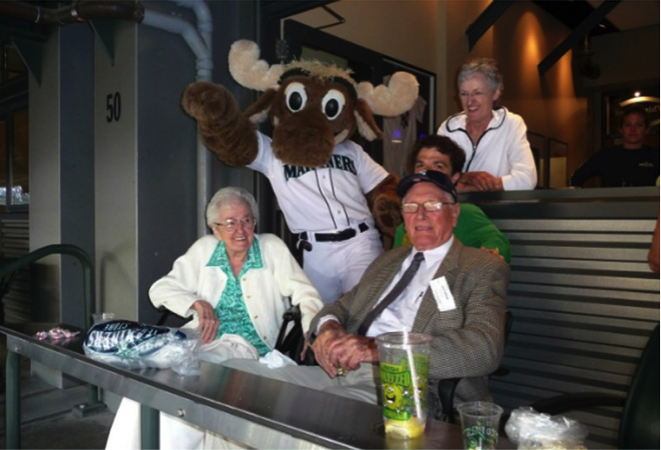 Relatives, many of whom the Mostellers had not seen in decades, also attended the event. Friends in Ireland and Portugal sent floral arrangements with their congratulations. Literally hundreds of friends sent congratulatory cards and emails with the fondest of thoughts for the occasion. Still others telephoned. L. Aguiar Valvassoura, head of the Church of the Nazarene in Brazil as well as pastor of the church founded by the Mostellers in Campinas, Sao Paulo, Brazil (which under Valvassoura's leadership is now one of the two largest in the denomination), sent a unique gift of a 10-inch slice of amethyst stone with a message and a photo of the newlyweds inscribed on a metal sheet attached to it. The inscription read: "Seven decades of connubial vision in the presence of the Lord— what an extraordinary legacy! We celebrate with intense joy and manifest our gratitude for their dedication lavished on the Church of the Nazarene in Brazilian lands - L. Aguiar Valvassoura, Church of the Nazarene of Brazil." Their alma mater, Northwest Nazarene University, honored the couple with a beautiful engraved plaque, which was accompanied by a letter from NNU President David Alexander and presented at the reception by Shawn Blenker, development officer for Planned Giving. A scholarship grant, "The Earl & Gladys Mosteller Called unto Holiness Grant", has been established at NNU in the couple’s honor. The Mostellers consider themselves unworthy of such an honor and thank their great friends Paul and Lori Freeberg for their generous endowment in initiating the grant.